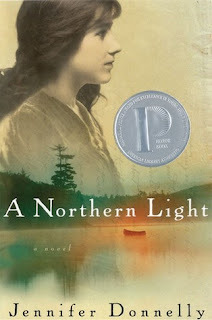 From Jennifer Donnelly, the critically acclaimed New York Times bestselling author of A Northern Light and Revolution, comes a mystery about dark secrets, dirty truths, and the lengths to which people will go for love and revenge. 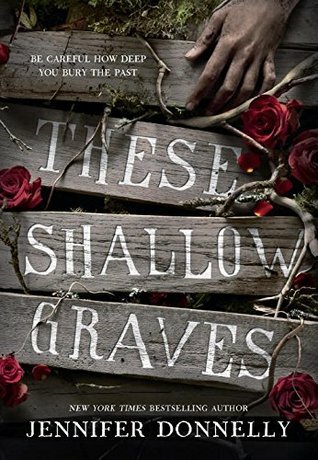 For fans of Elizabeth George and Libba Bray, These Shallow Graves is the story of how much a young woman is willing to risk and lose in order to find the truth. Jo Montfort is beautiful and rich, and soon—like all the girls in her class—she'll graduate from finishing school and be married off to a wealthy bachelor. Which is the last thing she wants. 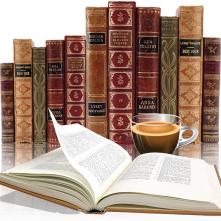 Jo dreams of becoming a writer—a newspaper reporter like the trailblazing Nellie Bly. Wild aspirations aside, Jo's life seems perfect until tragedy strikes: her father is found dead. Charles Montfort shot himself while cleaning his pistol. One of New York City's wealthiest men, he owned a newspaper and was a partner in a massive shipping firm, and Jo knows he was far too smart to clean a loaded gun. The more Jo hears about her father's death, the more something feels wrong. Suicide is the only logical explanation, and of course people have started talking, but Jo's father would never have resorted to that. And then she meets Eddie—a young, smart, infuriatingly handsome reporter at her father's newspaper—and it becomes all too clear how much she stands to lose if she keeps searching for the truth. But now it might be too late to stop. 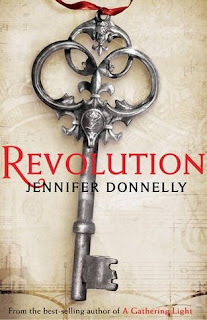 I have been a fan of Jennifer Donnelly since reading Revolution and A Northern Light. I found her pose captivating and engaging, both books hard to put down. The covers for both of those books were real eye catchers, but the cover for These Shallow Graves just blew those other 2 out of the water. If I wasn't familiar with Donnelly's work I would have read this book for the cover alone - mysterious, spooky and rather tantalizing - hats off to the designer. I always love a good prologue, they set the tone, especially if it begins with something dangerous and enticing, which is exactly what happened here. Not to give any of the story away but when you have Jo Montfort, the spoiled rich girl, digging up an occupied grave that grabs one's attention. Chapter 1 begins three months prior at Jo's finishing school. As the story evolves we learn so much about this girl. Her struggles for a more fulfilling life, her desires to write and not to conform to what others dictate. It's an interesting road she must travel. "To have a purpose in life - - what must that feel like? she wondered." The author did not disappoint with this book. She captures the essence of NYC during the 1890's. from the life style of the rich and famous to the docks, houses of ill repute, newsboys and graveyards, These Shallow Graves is mysterious, suspenseful with a dash of romance - what more could you want? Was it perfect? No it wasn't, I figured out the ending but just couldn't grasp how it was accomplished. There were some twists and turns I didn't see coming. The ending might have been a tad rushed but I wasn't disappointed. My only concern now is whether this will be made into a series and when will book 2 be available? Labeled as Young Adult, it is a great HF in a field not overly saturated with them. But it won't just appeal to the young, adults will enjoy These Shallow Graves as well. Thank you to Random House (via Netgalley) for providing a copy for review purposes. This one sounds interesting, and I like the cover. I'll have to try it. I love Jennifer Donnelly! I didn't know she had another book coming out. I'll have to check this on out.